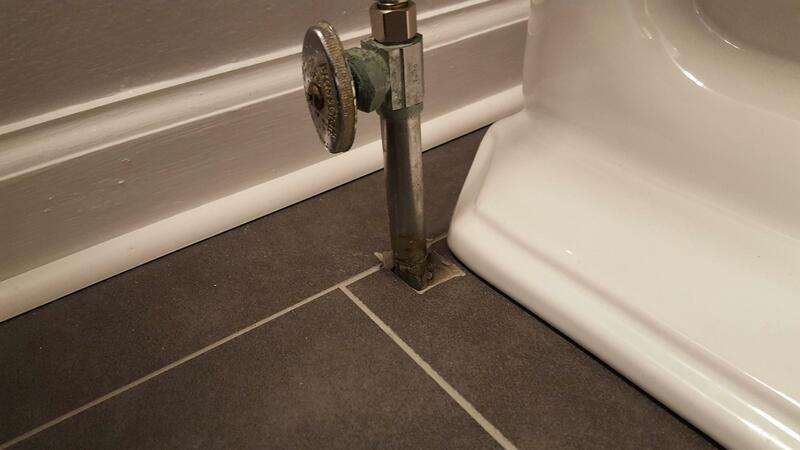 I need a recommendation for a product that I can use to hide where this pipe meets the floor in my bathroom. There was a metal piece here but I had to cut it off since the new toilet comes so close to the pipe, it was hitting it. I need some kind of piece that I can slide on from the side. It also needs to be very narrow or somehow not symmetrical to fit here. 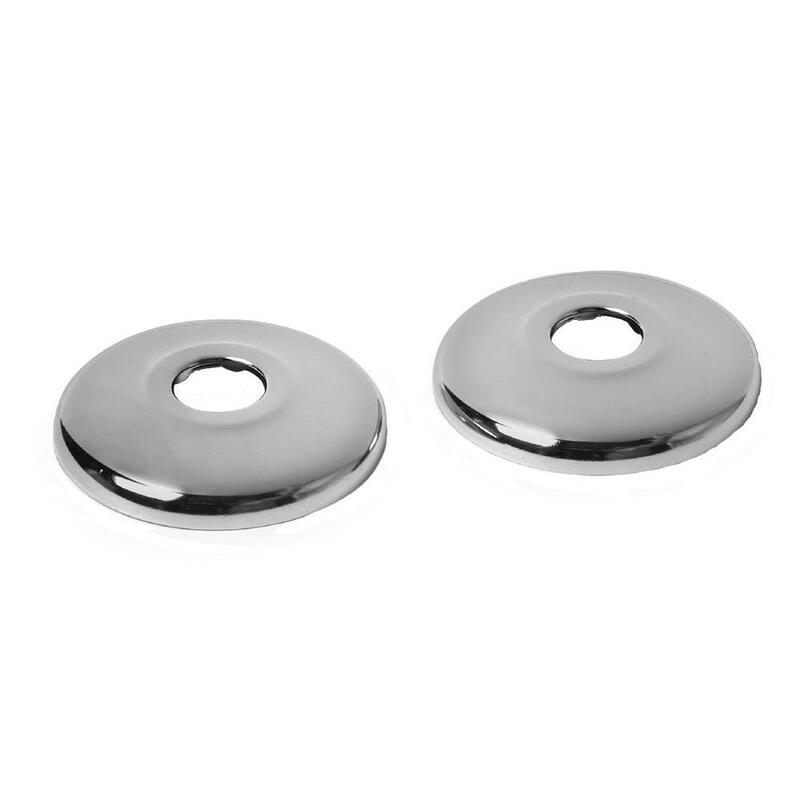 The simplest approach is to buy a solid round escutcheon and cut it to fit. They come sized to fit different pipes, so take a measure of yours. You would need to take off one side, just about to the edge of the hole, and then probably cut the hole to be a U shape, rather than round. You could hold it on place with a few dabs of silicone sealer underneath. Images and links for illustration only, not an endorsement of goods or sources. Generically, it's an escutcheon, and you need a hinged, screw, snap-together or otherwise two part one. Might have been best to notch the one part one you had, but too late for that now. That's a mighty small space and most are going to be too big. So you need to find a particularly small one. If you are crafty, you could possibly make one from floor tile scraps (to match floor) or plain while tile to match toilet. Carbide or diamond tooling makes that sort of thing fairly easy. They now have plastic escutcheons. This would be easier to cut. My home grown solution is calk. Not the answer you're looking for? Browse other questions tagged toilet pipe trim or ask your own question. How to fix a ventilation pipe to the wall? How can I adjust the depth to which a pneumatic toilet flush button must be pressed? How can I repair a float valve that is blocked open? How is this toilet flange attached? Can I install a toilet flange in a shortened (sawed off) elbow fitting? Replacing sink trap with a flexible one?